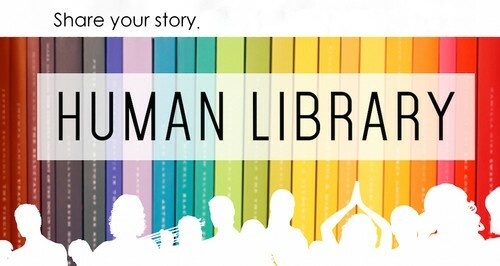 Back by popular demand, the Pawling Human Library Project is a joint venture between the Pawling School District and the Pawling Library. It is an opportunity for members of the community to connect with educators and each other to share their stories. This year’s event will take place on Tuesday February 19th, 12-3 PM. Individuals can volunteer to become “books” that others can “check out” and have an engaging conversation on the topic chosen by the “book”. They will also have the opportunity to act as “readers” by selecting “books” to “check out” for themselves. In other words, you choose something from your life or experience that you think others might be interested to hear, and then other people people sign up to discuss it. Each conversation lasts about 20 minutes and includes one to four other people. Last year was a great success, and we are looking forward to having even more people participate this year. Please sign up soon and tell your friends to do the same. This is a great opportunity to help integrate the school system, the library, and the Pawling community. Please come share your story; we look forward to hearing it.